Many people operate on the assumption that by having the minimum liability coverage limits that are required by their state’s laws, that they’re fully protected when it comes to their auto insurance. The cold, harsh reality is that they’re only protected in terms of the liability coverage they have in regards to their own liability for damage done to other’s automobiles and any injuries they may cause to other drivers and their occupants in the event of an at-fault accident. Conversely, being involved in a car crash with a driver who does not have insurance, or with a driver that is underinsured can quickly demonstrate just how unprotected they really are, and why insurance add-ons like uninsured and underinsured coverage can be very beneficial. Uninsured drivers simply do not have insurance. While the justice system allows one to sue in the event of an uninsured motorist, the process is lengthy, and even if a favorable judgement is rendered, you may have difficulty obtaining the judgement amount. If the driver could not afford to carry minimum liability insurance, they may not have sufficient funds with which to cover a court decision against them. Underinsured drivers are different. These drivers would have an auto policy that has at the very least, their state’s required minimum coverage amounts. But those minimum coverages turn out to be insufficient after an accident, as they often do in major car accidents. California also allows for self-insurance, in which drivers are assuming the minimum financial responsibilities required by state law without carrying a car insurance policy. Such a driver is required to make either a cash deposit of $35,000 or provide a surety bond of the same amount to the California DMV. The $35,000 figure comes from having the minimum of $30,000 for injury or death coverage for other drivers, passengers or pedestrians, and the $5,000 amount required for property damage. 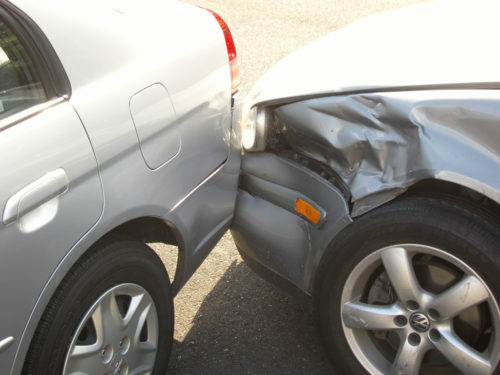 In the event of an accident, any losses the driver is responsible for will be paid from the deposited funds. If such a driver is involved in an accident with $20,000 of property damage and $50,000 in medical expenses to other, their insurance would leave them short – $15,000 in property damage, and from $20,000 to $35,000 in medical expenses. The coverage amounts represent the only payments the insurer will cover – the driver will be responsible for anything above and beyond that. One can sue an underinsured driver just as they can one who is uninsured, but again, the process can be lengthy, and collecting judgements can be a difficult task, if not almost impossible. The sad financial reality is that state minimum coverages are often not adequate to cover one’s liabilities. But that doesn’t mean drivers involved in accidents with the underinsured or uninsured drivers must sue in order to collect the amounts above and beyond the minimum amounts. This is where uninsured/underinsured motorist insurance can come into play. Uninsured and underinsured coverages are usually sold together as a single package, although some carriers may offer them individually. Currently, the Insurance Research Council estimates that as many as 16% of drivers are uninsured. With almost 1 out of every six drivers being uninsured, this is one insurance add-on that is worth looking into. The coverages are nearly self-explanatory: uninsured motorist coverage will pay if you are involved in a crash with a driver who is uninsured. Underinsured motorist coverage pays out after the underinsured driver’s policy limits are met. If you’re considering a new policy, make sure you look at quotes that contain uninsured and underinsured motorist coverage. It may be priced much lower than you expect, and can be a positive addition to your currently have as well.